Please call the gallery (801-364-6789) for pricing on all originals. A breathtaking sunset view of the Bountiful Utah Temple, which captures a “bench” perspective of the mountains as well as the dramatic reflection of the Great Salt Lake. 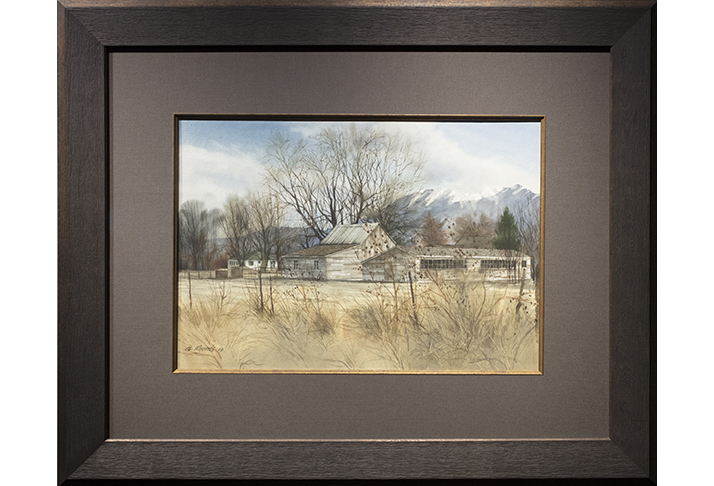 To purchase the ORIGINAL painting, please call the gallery at 801-364-6789. To purchase a PRINT of this painting, click here. 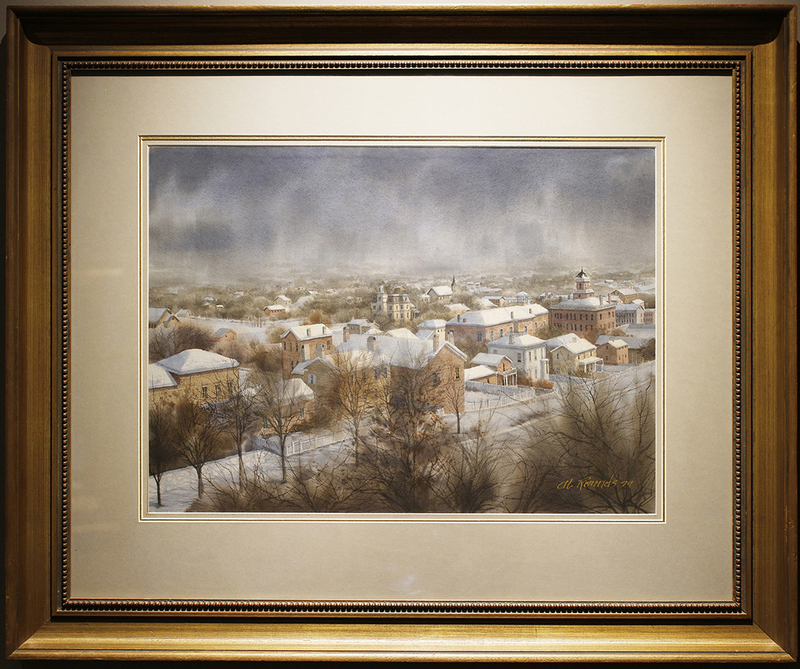 This winter painting presents the Salt Lake City Council Hall. The Council Hall was originally built in1866 at First South and 120 East, but was relocated in 1961 to 300 State Street. The building located at the center left of the painting was the Feramorz Little Residence, who was the mayor of Salt Lake City from 1876-1882. 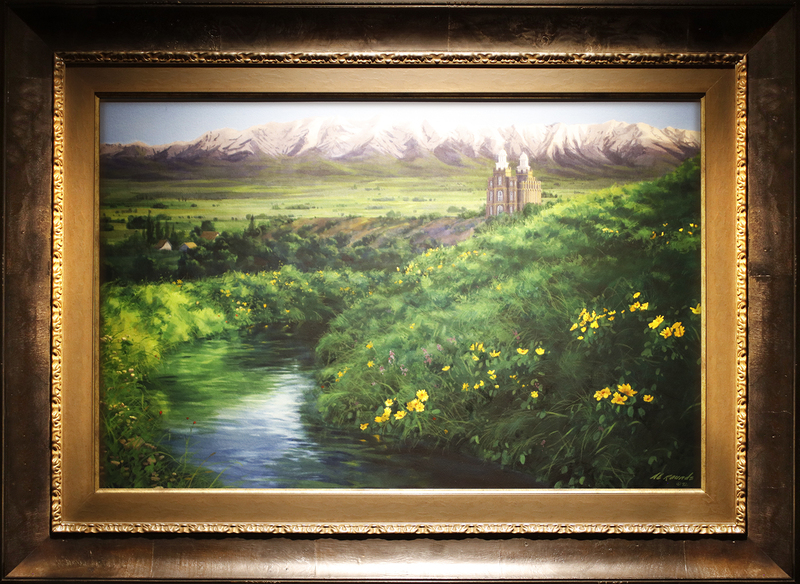 This painting depicts the beautiful Logan, Utah Temple amid the natural springtime beauty of Cache Valley. This unique painting was done in the early spring of Al’s first year painting out of college. This old barn and shed were located in the Sandy area at about 9400 South and 7th east. 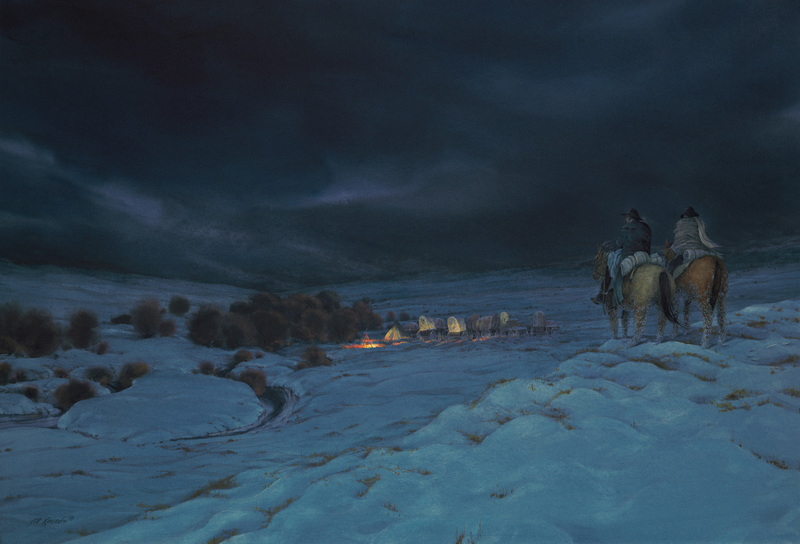 This painting depicts Captain Willie and Joseph Elder of the Willie Handcart Company during the moment they finally found the rescue party sent from Salt Lake to aid the handcart pioneers. 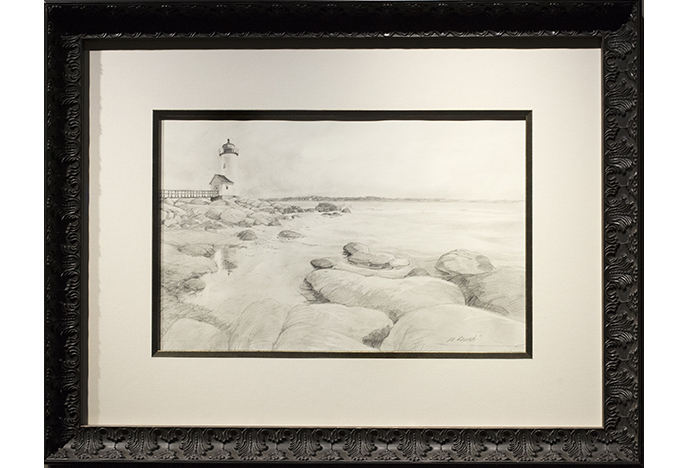 This was the layout drawing for Al’s original of the Annisquam lighthouse in Massachusetts. 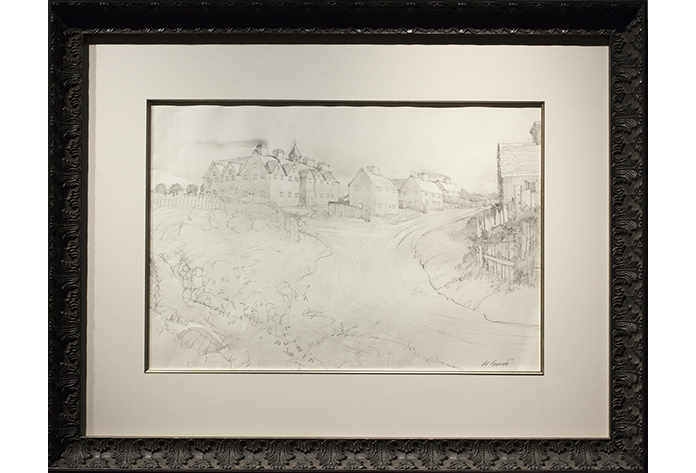 To purchase this ORIGINAL DRAWING, please call the gallery at 801-364-6789. To purchase a PRINT of this final painting, click here for the vertical print or click here for a standard ratio print. 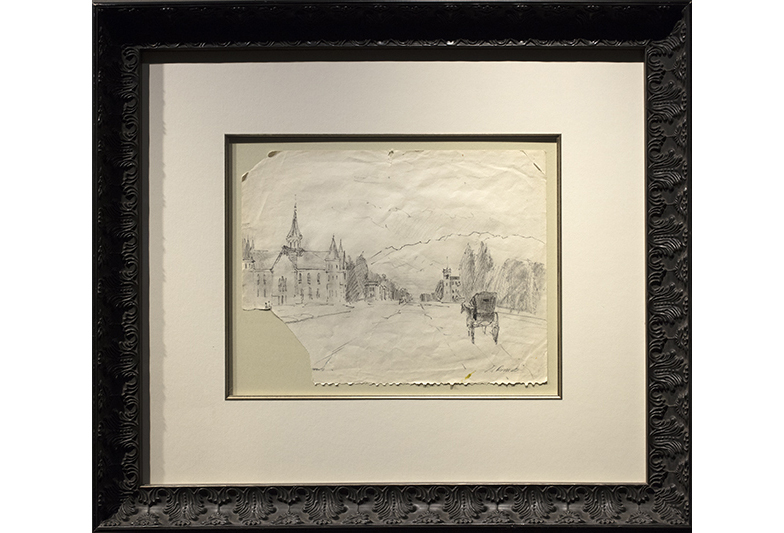 This was the first quick sketch Al did for an original watercolor of Harvard in 1642. 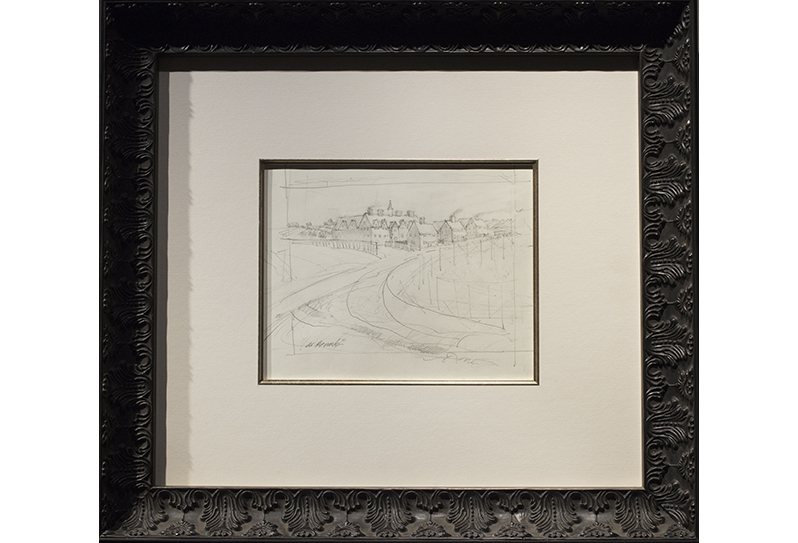 To purchase this ORIGINAL SKETCH, please call the gallery at 801-364-6789. To purchase a PRINT of this final painting, click here. This is the final drawing for the Harvard 1642 painting. Al drew this to make sure that spacing between buildings was accurate. 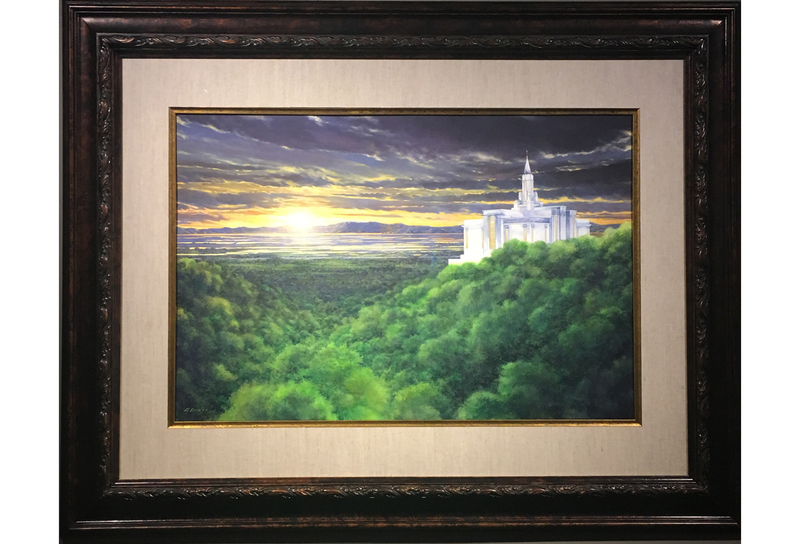 This sketch of Al’s was done in preparation for the painting he did of the soon-to-be dedicated Provo City Center Temple (dedicated March 20, 2016). Al stood in the center of North University Aveune with his sketchbook and drew this quickly as cars drove by him on each side. 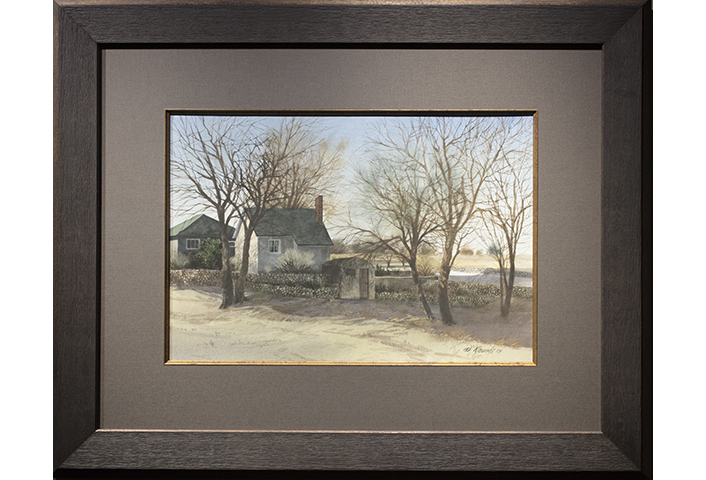 To purchase a PRINT of this final painting, click here for the panoramic print or click here for a standard ratio print.